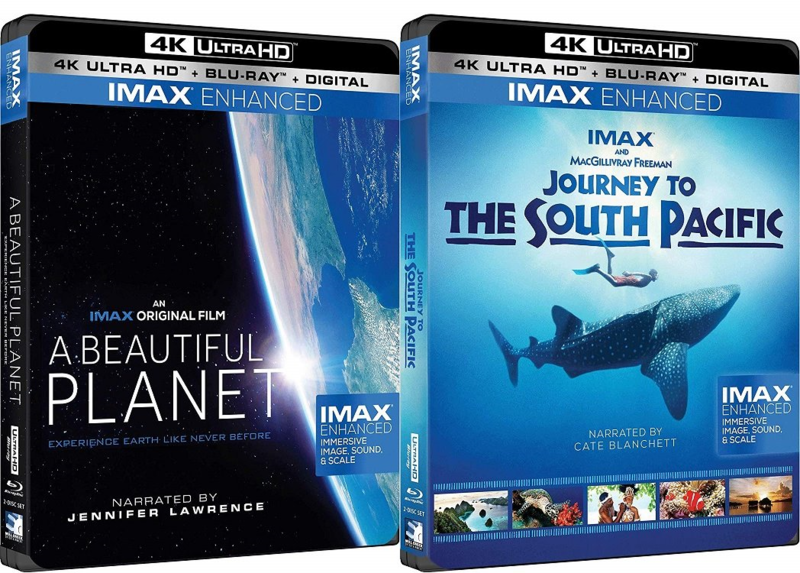 The first two IMAX Enhanced Ultra HD Blu-ray titles have been announced, with the release date of December 11. They are: A Beautiful Planet and Journey to the South Pacific, both of which are nature documentaries and original IMAX films. Last edited by Lee Stewart; 10-12-2018 at 02:48 PM..
Sony Pictures announced that Venom and Alpha will be among the first blockbuster movie titles available with the tag. while Paramount has also pledged support. Arcam, Elite, Integra, Lexicon, Onkyo, Pioneer and Trinnov are working on certified A/V receivers, while TCL has joined Sony in developing certified TVs. Meanwhile, an IMAX Certified Mode to optimize settings based on content is still in development.